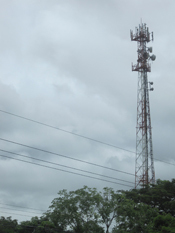 With the move to open the telecommunications market to international competition, Costa Rica's monopolistic telecom company ICE is racing to get 3G towers and new cell phone and internet services throughout the market before the competitors start offering services. Grupo ICE, which stands for Instituto Costarricense de Elictricidad, has had a monopoly on all electricity needs, telecom needs and internet. Under the new CAFTA regulations, competition is now set to enter the market and start offering services in both telecommunications and internet. New subscriber agreements with major telecom service companies in the US will soon be reality. Now maybe our Verizon, AT&T and other phones will finally work in Costa Rica.